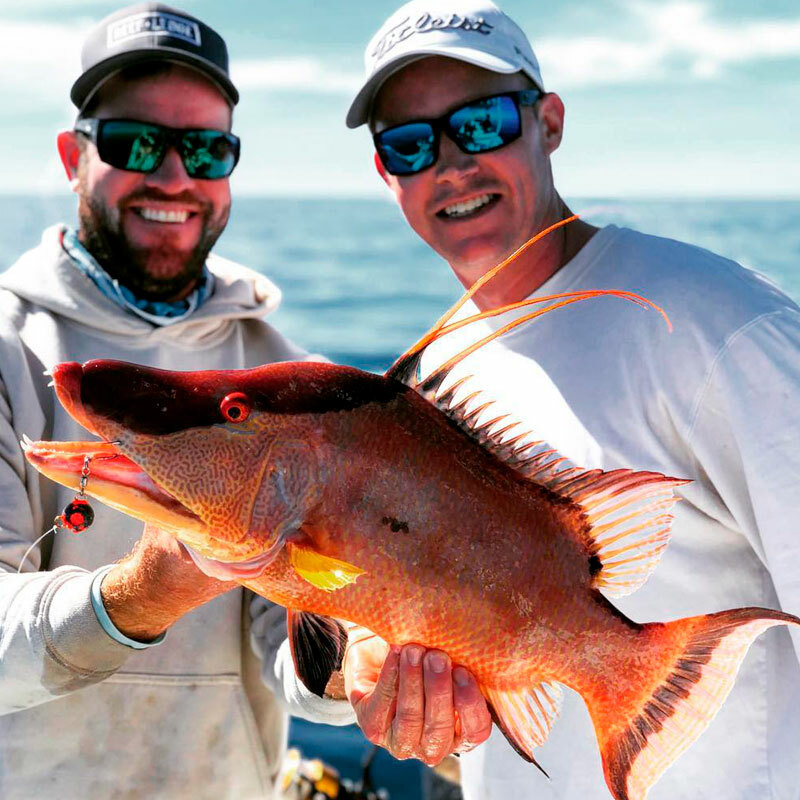 Captain Jason Stock wants to offer anglers and aspiring anglers the opportunity to check off some of their bucketlist species. The fish that they would love to catch at some point in their enjoyment of the sport. Species that have either alluded them, or that they do not yet have access to. Whether inshore or offshore, the Florida coast offers a diversity of species of fish. 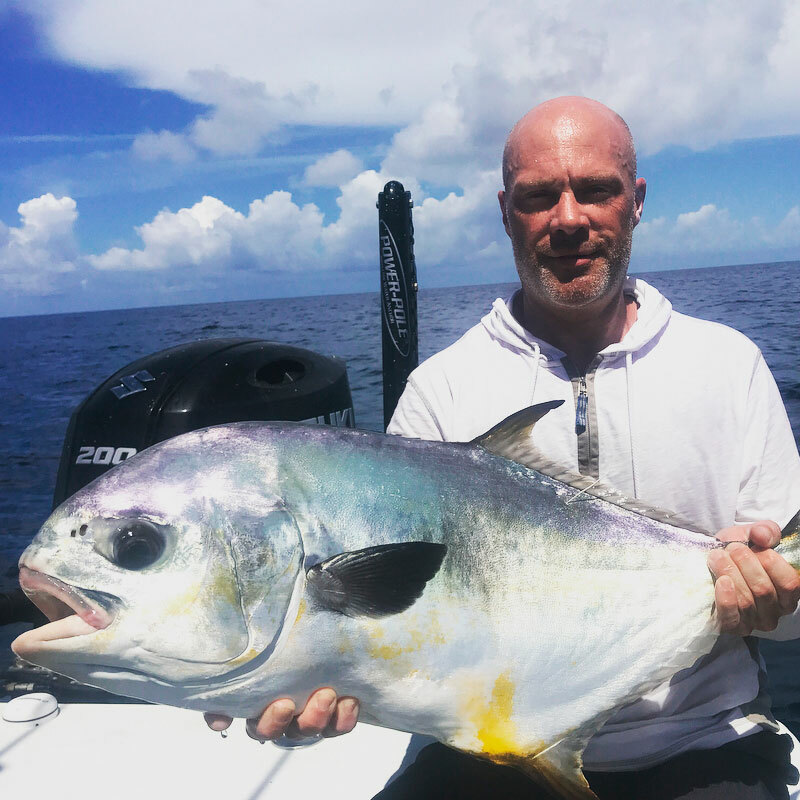 Captain Jason Stock specializes in targeting many allusive, sought-after species, such as Permit, Hogfish, Tarpon, Goliaths, Blackfin Tuna, and more. 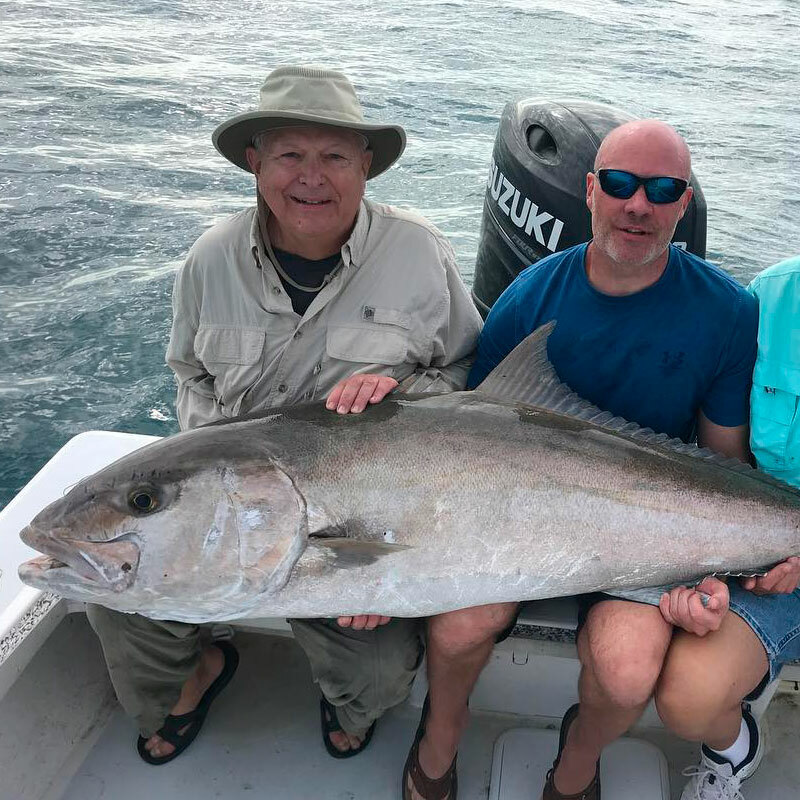 Look below for a fuller list of species Captain Jason Stock can help you target, and maybe find a few more to add to your bucketlist! 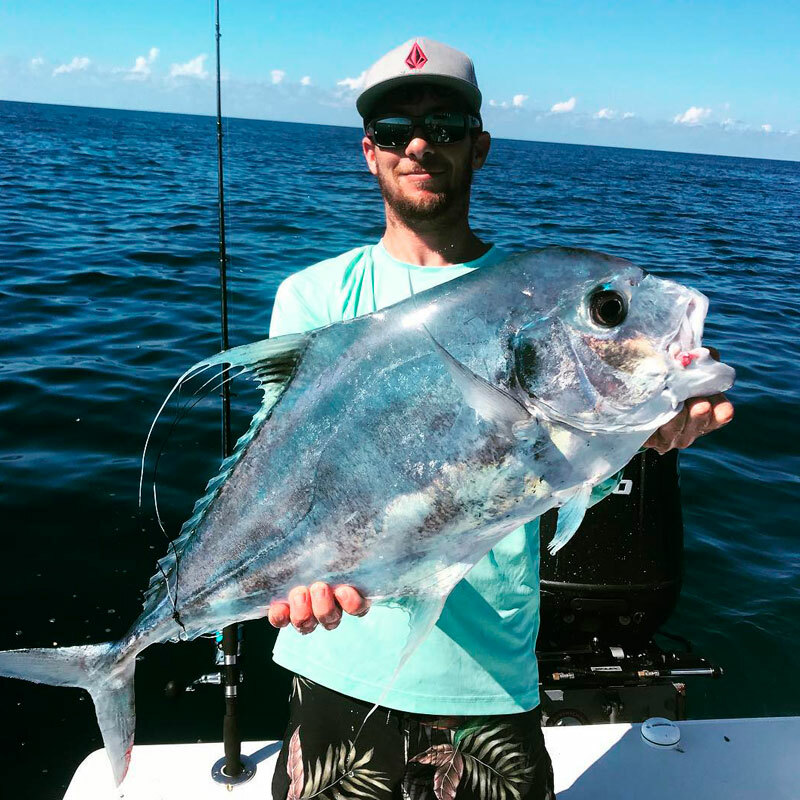 The African Pompano is a hard-fighting fish from the jack family. They are found offhshore on wrecks and reefs. They are a great species to target during the Spring and Summer. These members of the jack family are some of the hardest fighting fish around. They can be found off of wrecks and reefs, and are perfect for the Summer and Winter months. 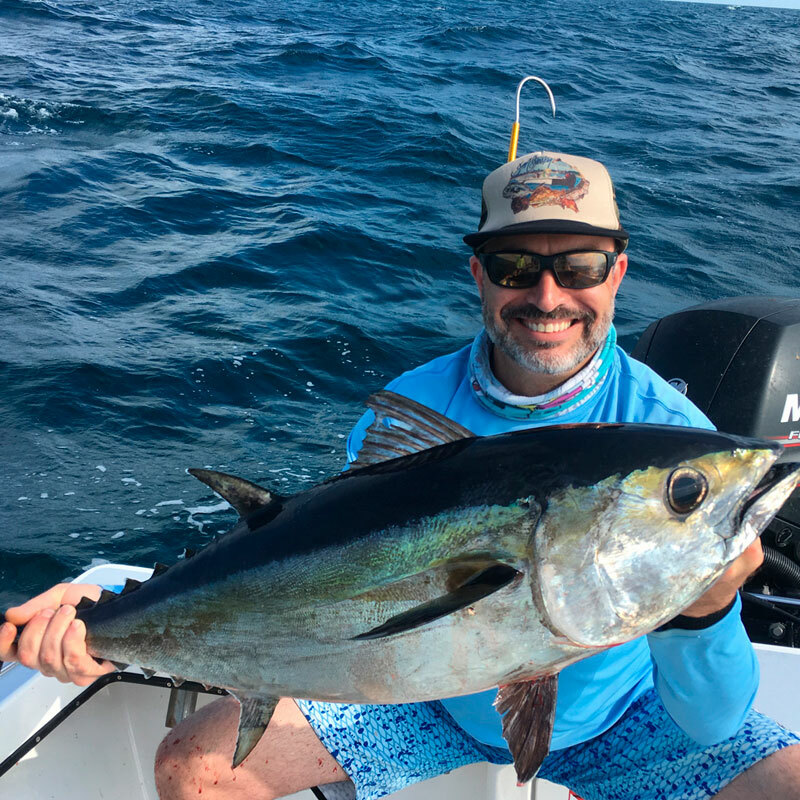 While not the biggest Tuna swimming the ocean, these fish are a great fight during the Fall and Winter seasons. Cobia are a pelagic, solitary fish. They can be hard to find at times, but are a fun catch when you do. We often get some on the line during the Spring and Fall. 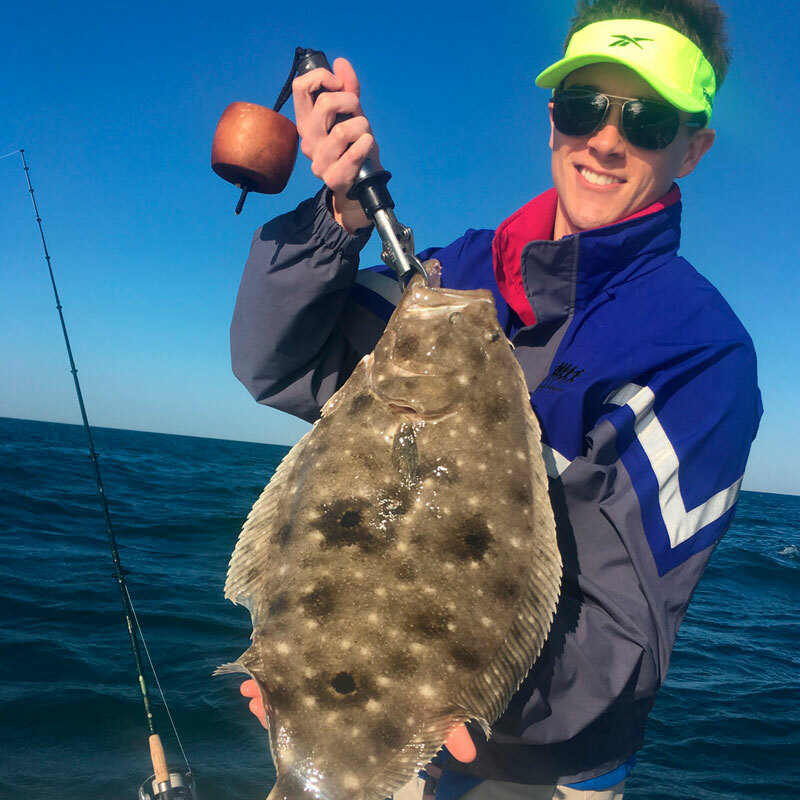 These flatfish are a fun species to target on inshore trips, perfect for Fall and Winter days when also casting for Redfish, Snook, and Trout. 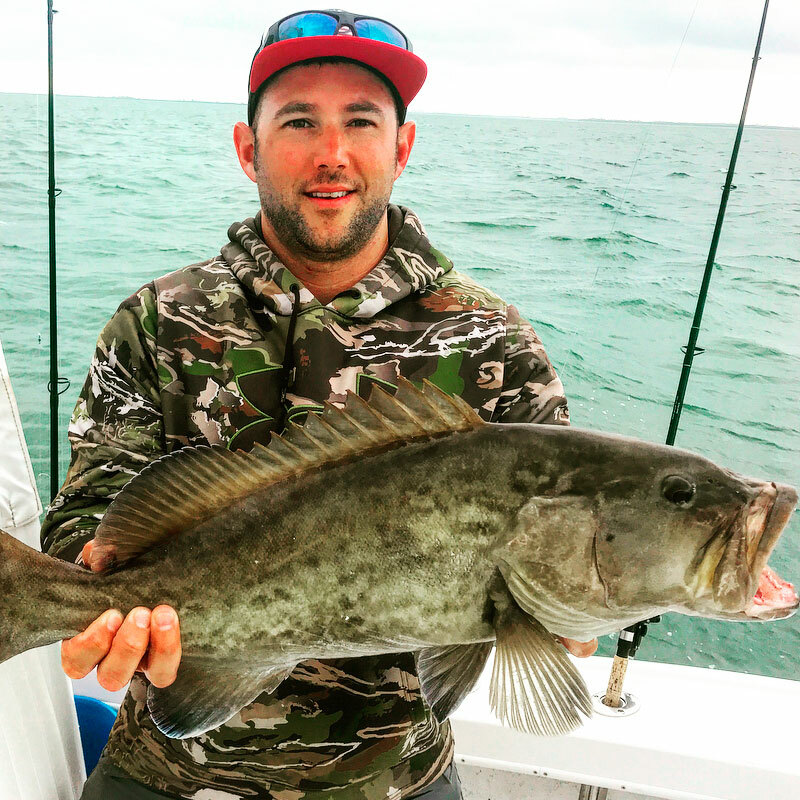 The Gag Grouper is a favorite of many when fishing the reefs of Florida’s coast. These are a great fish in the Summer, along with Red Snapper. 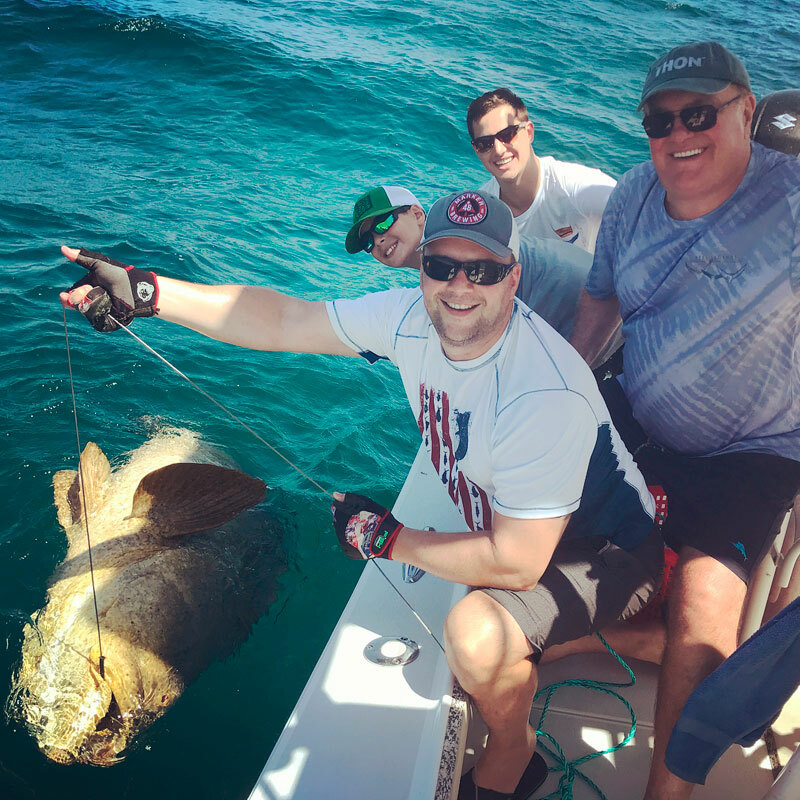 These behemoths of the reefs are on many angler’s bucketlist. They can be caught on rod/reel, or by handline for those who chose. They are a great target in the Summer, Fall, and Winter. Up until recently, the Hogfish was only caught by spearfisherman. 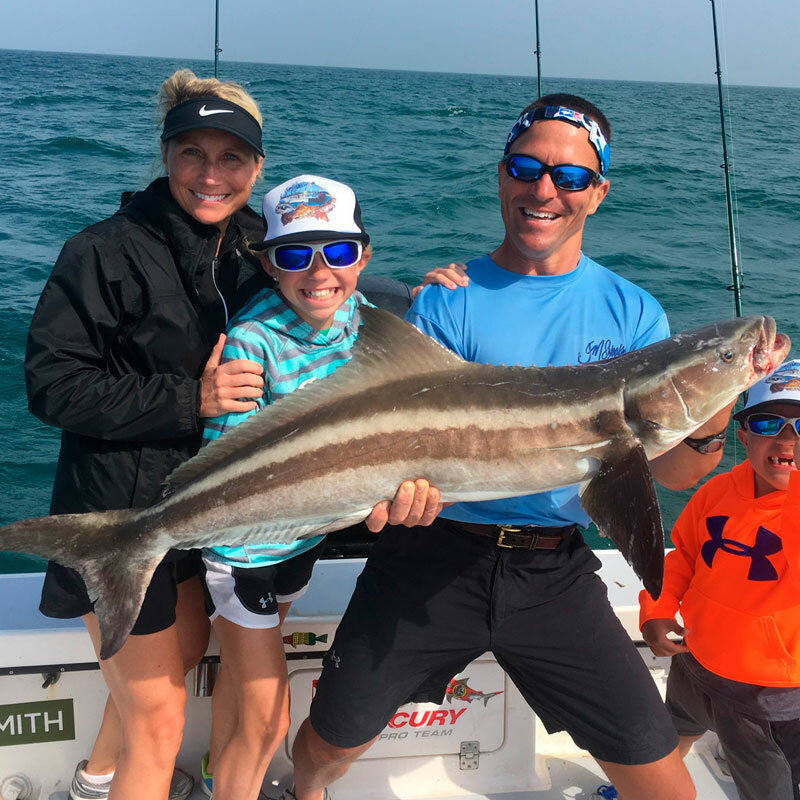 Captain Jason Stock specializes in catching them with Rod/Reel. These make a great target for Fall and Winter trips. These mobile fish give a great fight, and are most active during the Spring and Fall seasons. 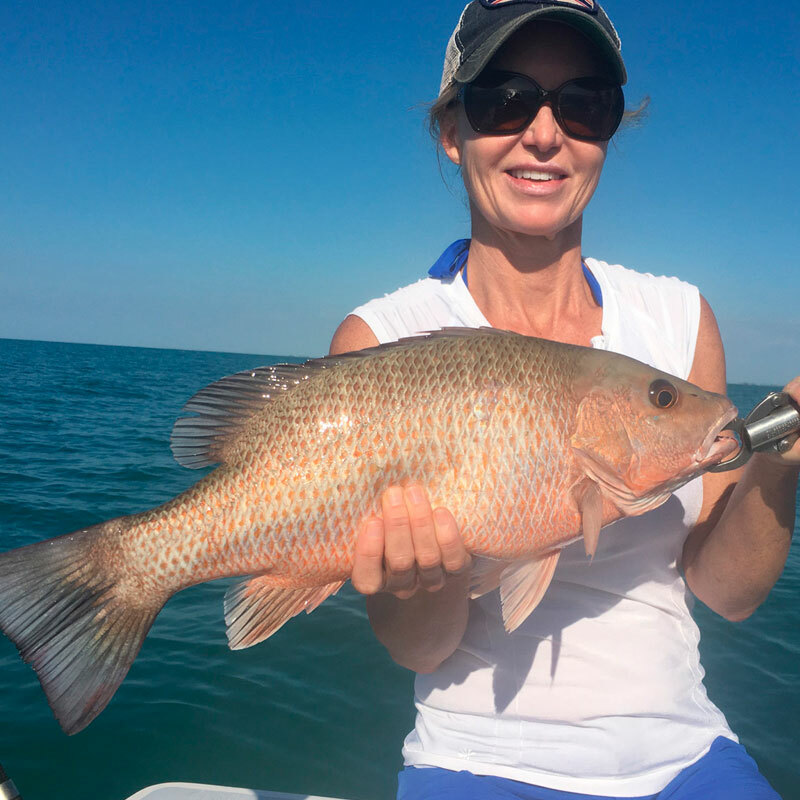 The Mangrove Snapper is a staple of Florida’s fishery and a great addition to a day fishing the reefs, particularly in the Winter. Permits offer a great fight, and are a species of specialty for Captain Jason Stock. They offer a great fight during the Summer and Fall seasons. 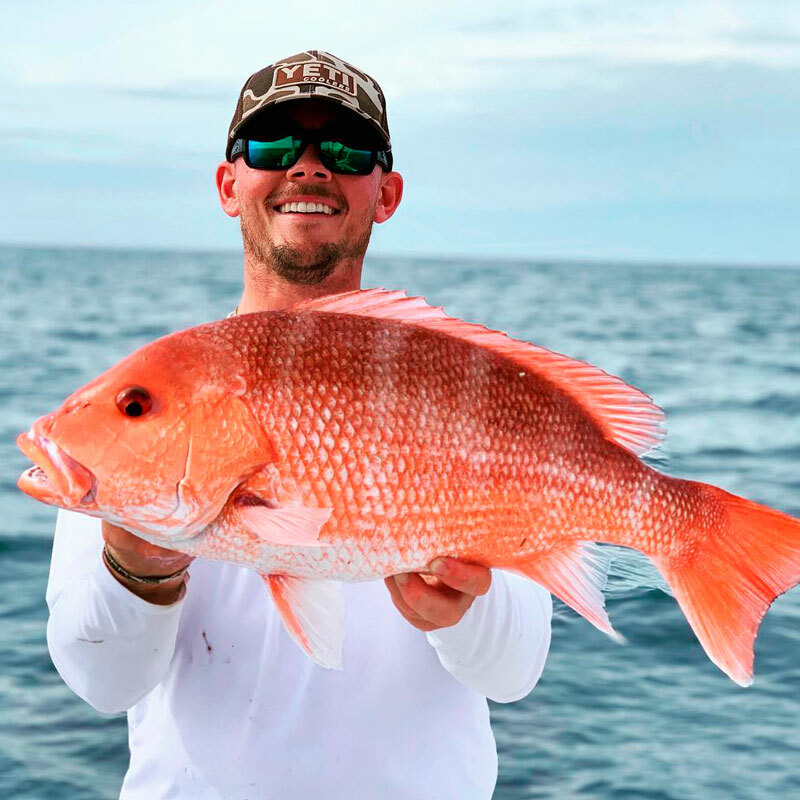 Red Snapper are an icon of Florida Summer fishing season. Targeting them lead to fun days on the reef pulling up a variety of species. 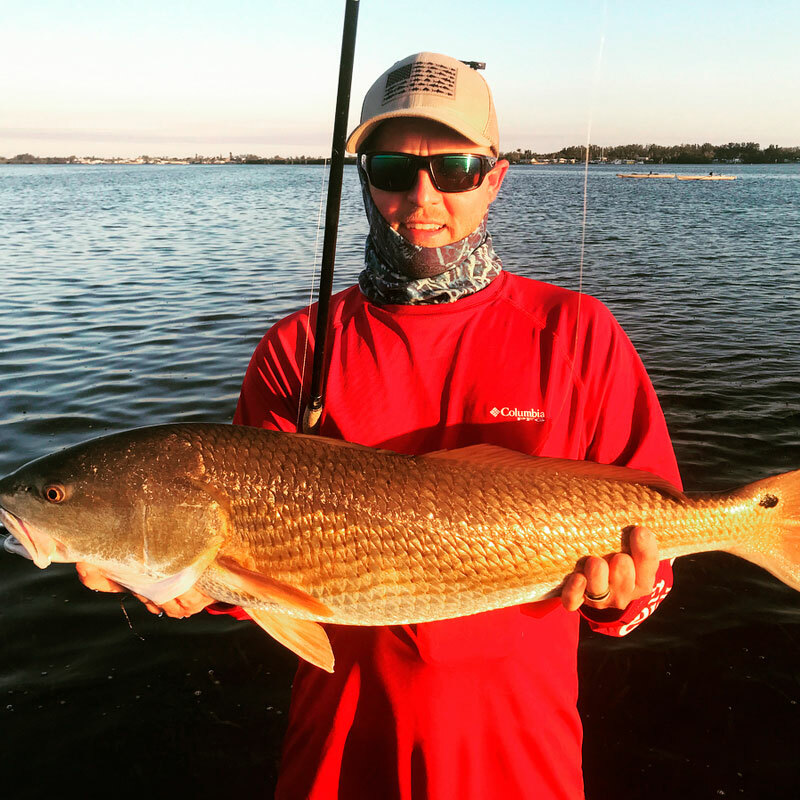 Redfish are a staple of inshore Florida fishing, often targeted along with Snook and Trout. They are particular fun in the Spring and Fall with the Bullreds in full activity. 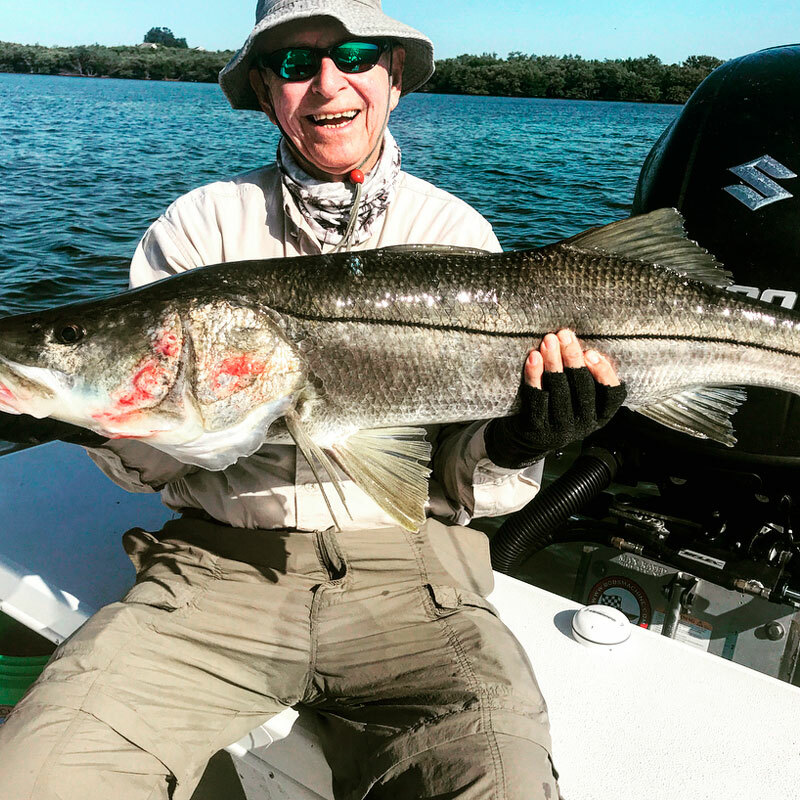 Snook offer a challenge and a great fight. 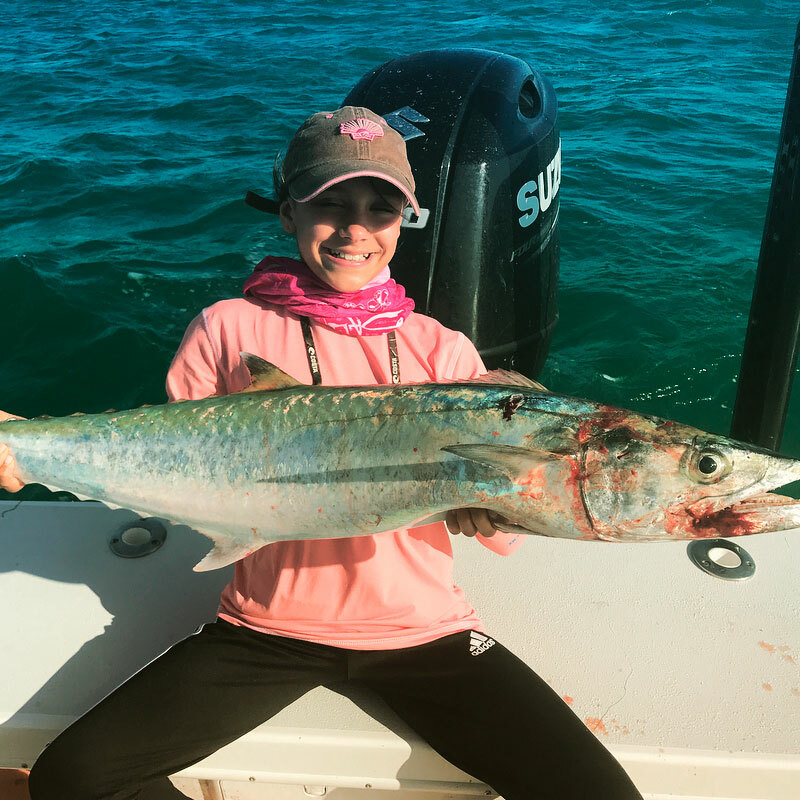 They are a great target for inshore trips diring the Spring, Summer, and Fall seasons. 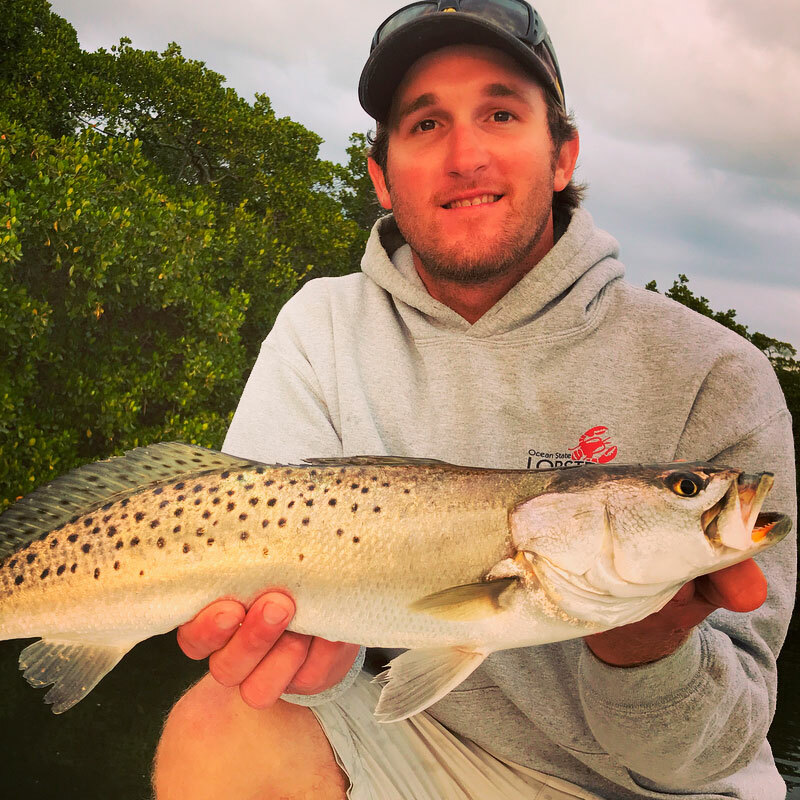 Spotted Seatrout are often a part of inshore fishing trips, particularly in the Fall and Winter season when the big ‘gator’ trout are active. 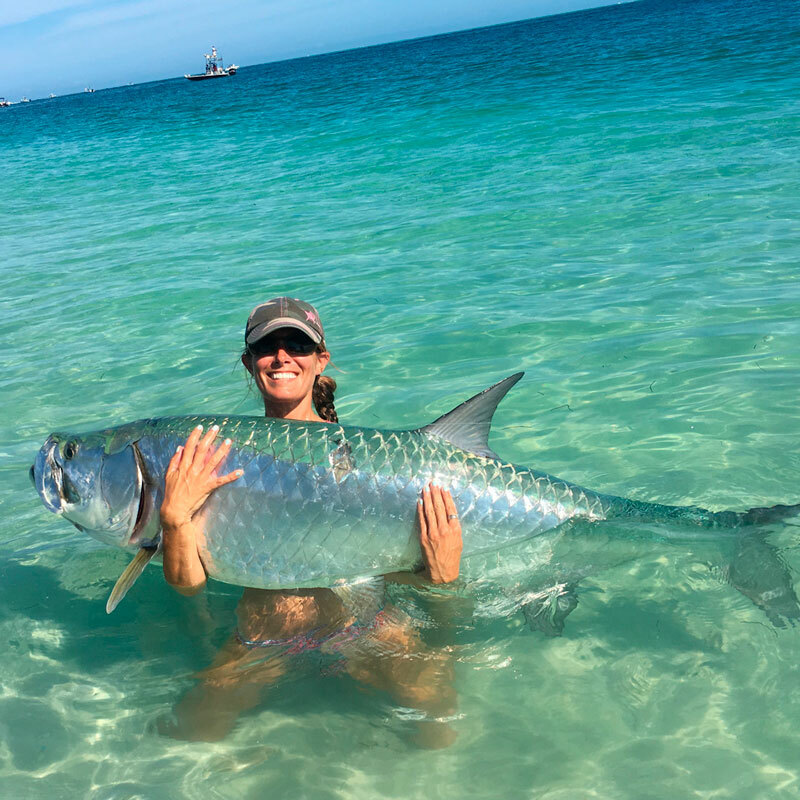 This big game fish offers anglers unforgetable, active fights, with a fish that often jumps out of the water mid-battle. They are a great target in the Spring, Summer, and Fall seasons. 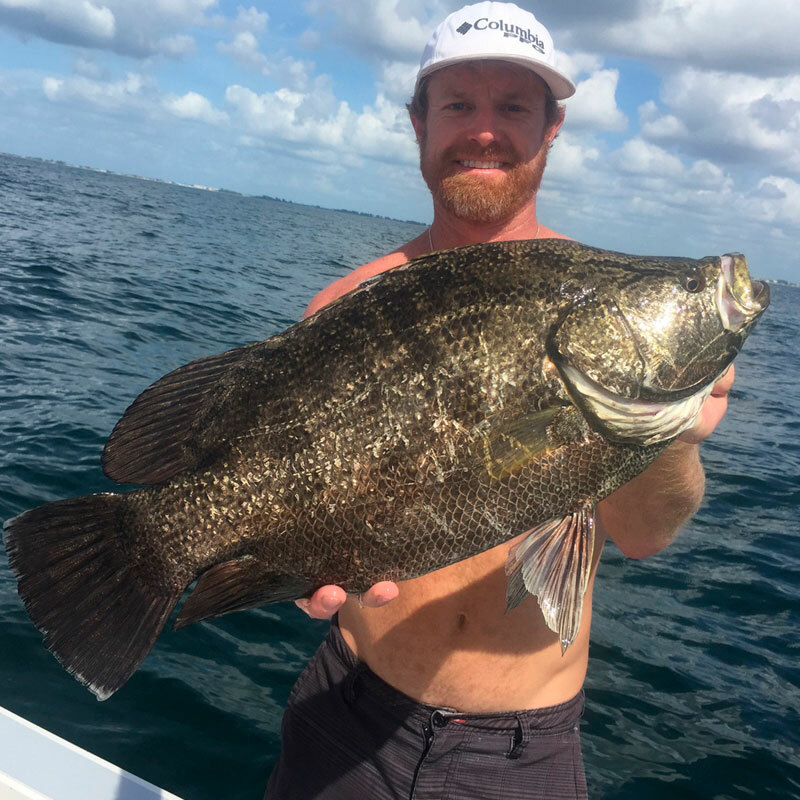 The Tripletail is an unusual fish than can often be found floating offshore on its side right beneath the surface. They offer a good fight and are a nice surprise on Spring and Summer trips. SEE A FISH YOU WANT TO CATCH? Is there a species Captain Jason Stock can help you catch? or a species you would love to catch again? Give his wife Heather a call or send a text at 1 (941) 253-6512 to book a trip. Jason will work with you to determine the best time of year for the species you would like to catch, and cross that name off your bucketlist.